Sometimes when I'm trying to write a blog post, I consult my focus group family. They give me fabulous ideas like, "You could write about leaves, you know, and how they are all different-ish." and, Jaws is a romantic comedy (which was more of a conversation than a suggestion). Katarina was dancing through the room, laughing, telling me all about gumbo. Many things. Gumbo just wants you to be it's friend. I asked her, "Do you know what Gumbo is? Would you like to try some?" She replied, "I know all of the things that I already told you about it. I also know that it might contain dog poop, so I'm hesitant to try it." Clearly there won't be any gumbo eating happening at our house anytime soon. I am so proud of my fabulous friend Erin Merryn, child sexual abuse survivor, author and advocate. She had a major victory this week. Erin's Law was officially signed on Monday by Governor Pat Quinn, after receiving unanimous votes in the Illinois House and Senate. Her next step? To take it nationwide! All I have to say about this is....YUM! Tracie's Friend is glad for a neighbor who laughs and goes to get her scissors when I ring her doorbell late at night and tell her my keys are stuck in the inside lining of my pants after foolishly putting themin my pocket, and that I cannot get them out without cutting up my pants. What a day. These photo memory pillows that my friend Diann makes, are so cute! I have a love for headbands. I think they are very cute. Are headbands allowed when you are grown up, or do you have to give them up after elementary school? Until I know for sure, I think I will wear one today and if anyone gives me a funny look, I plan to say that it is actually Katarina's and I'm just holding it for her. More Friday Fragments, pieces of people's week, can be found at Half-Past Kissin Time. What exciting plans do you have for this weekend? I'm thinking sleep, reading, and a little more sleep! Those sodas look yummy. I want all three! Also, you can get in on kitty litter gigs too. Except it's not always kitty litter, in the past I've done diapers, (which is gross because they want the diapers back! USED! ), baked beans taste test, jelly taste test, shampoo, baby bath, baby lotion, etc. . . Even my daughter recently qualified for a study. They gave her a toy and ME $50! I would just google "your city" with the words "Marketing Research." but in the END, all will be worth it! I LIVED in headbands from 1987 until 1993. Good times! I don't know that I could rock them these days. Thanks for reminding me that I need to schedule a haircut! LOVE Izzes. 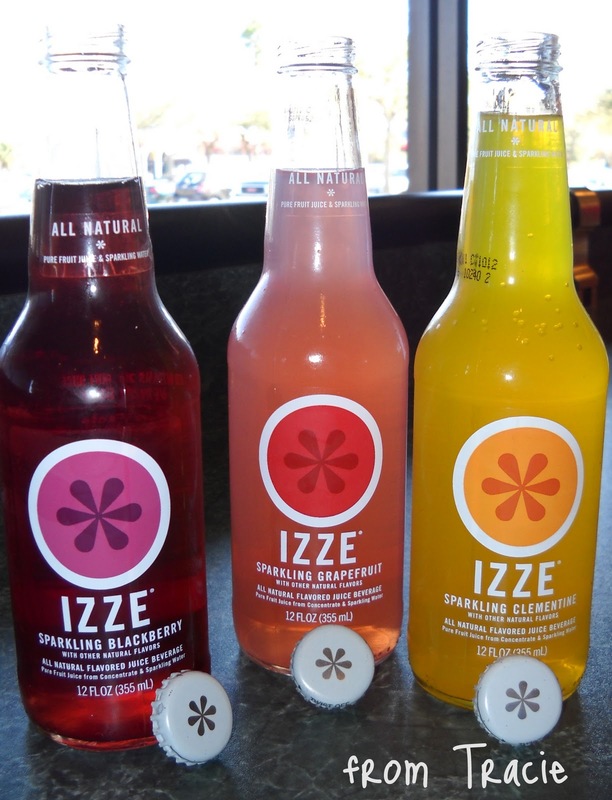 Have you had the Izze-esque varieties? I prefer to eat my calories (usually in the form of chocolate), so I usually go for those, instead. great FB status - did you post about the whole story yet? Likely it's a hilarious story. They gave me a plastic ziploc to put the diaper in. Once the day was done, there was a plastic bag that the day's diapers were sealed in. Once the week was done there was another plastic bag to seal the diapers in. But yeah.....most diaper study's lasted for about a month. A month of free diapers and $150 cash. That's such good news about your friend Erin and what she's been able to accomplish! I LOVE headbands and wear them a few times a week. I think they're cute and totally age-appropriate as long as they don't have big poofy flowers or bows on them. My son's 11th birthday is tomorrow. He has invited a boat load of belligerent children over to hang out in the afternoon and spend the night. I will be hiding in my room with a book and a glass of wine. I would totally wear headbands. I think you would look great in them. Thanks so much for your kind words Tracie and your constant stand you take on this issue! Bless your heart! It has been an amazing week that just keeps getting better. The gumbo comments are hilarious! I want to try some of that soda. Mmm. You can TOTALLY pull of headbands! I often wear them to school. I started out with smaller, thinner ones, but I am working my way up to bolder ones. They are actually quite nice for keeping my crazy mess of hair out of my face. First off, you never outgrow headbands (or at least, this Traci likes to tell herself that)! Secondly, I love that "Jaws" is a romantic comedy! Now I know that "we need a bigger boat" is a laugh line. I always sensed a chemistry between Roy Scheider and Richard Dreyfuss -- haha! Now as a Southern girl, I need to have a talk with your daughter about Gumbo. Ugly, yes. Yummy, WAY yes! Finally, congrats to fellow survivor for her namesake law. That is a tremendous achievement of taking pain and turning it into power. Wow I am also a survivor and advocate and author! I wish her much luck!! Headbands are totally allowed for grown-ups! I have gotten a lot of very cute ones lately. The only thing I hate is that so many of them start to hurt my head after like an hour. Thank you Tracie for your kind words. As an advocate and fellow thriver, I love creating the pillows to bring the memories of happy & healthy 'moments in time' in peoples lives for them to cherish. I say rock the headbands your whole life. Never give up the headband! Your fragments are delightfully cheerful. I LOVED the news about Erin's Law! Have a great weekend, my friend :) Thanks for being you. I hope Erin is able to get the law recognized nationally. As a school employee, we are required to report anything suspicious, but really haven't had any training on what to look for. I think it needs to be done annually, along with blood born pathogens. I think "gumbo" is a fun word to say, maybe a good dog name and better than bimbo.